Doing yoga, Zumba or some other formal exercise program might be a great way to share an experience with your child. But when does exercise transition from fun to stuffy? Yes, we as adults typically need to create time in our lives for exercise, thus making it a “formal” experience. But do kids need that? Do kids need to sign up for exercise classes? Your children already participate in gym class at school. Gym teachers work to introduce physical activity in the context of fun and games. Kids get to move, they learn about healthy behaviors and they’re introduced to sportsmanship. While gym classes take place in a formal manner — on the same days each week for a set period of time and following a vetted curriculum — the teachers typically strive to make exercise fun. And it mostly works! Instead of signing up your kids for exercise classes, think about exercise for your child in terms of looking for active opportunities, whether that’s organized sports or fun activities. Let your child try out a variety of sports or activities to find the thing she most enjoys. When your child associates being active with smiling and having fun — much as in gym class — your kid is more likely to maintain an active, healthy lifestyle over the long haul. As kids reach the tween and teen years, formal conditioning programs may become appropriate, especially if your child participates in organized sports and hopes to continue to do so. Appropriate conditioning and resistance work can help prevent injuries and improve performance — and it’s an introduction to the kind of formal exercise program familiar to most adults. “Participating in sports is one of the best ways for kids to learn the skills — such as diligence, goal setting, persistence and others — that will benefit them as adults,” says John Rowley, a certified personal trainer. While your child’s pediatrician may not have a nuanced understanding of conditioning programs for the growing adolescent body, a sports medicine doctor or physical therapist may be able to suggest local gyms or DVD-based programs that offer the kind of exercise appropriate to your child’s still-growing body. If your child is an athletic prodigy — if he shows a specific ability at and dedication to a specific sport — formal exercise and training programs may be appropriate earlier in life. World-class gymnasts, for example, often start hard training at a very young age. However, these programs should never be undertaken without consultation with your child’s pediatrician plus a pediatric sports-medicine physician and trained, licensed professionals. You’ll be dealing with a special set of concerns with this child, including overtraining and burnout, and you’ll need to be very aware of the risks as well as the benefits. How much is too much exercise for a child? 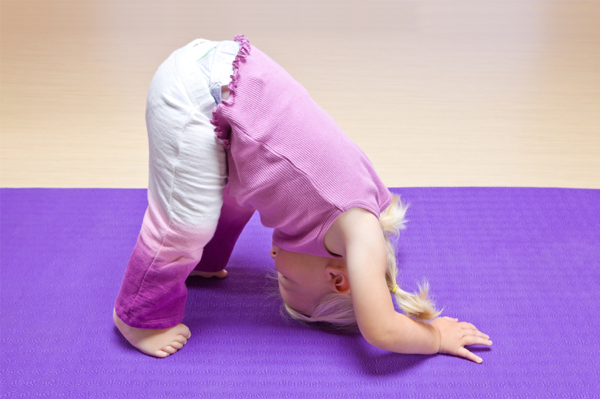 Is yoga right for your child?